The investment bank run by André Esteves has bought rivals, added staff and is beefing up commodities – a business its Wall Street peers are trimming. And Brazil, its home market, is struggling. Yet last year’s net income only took a 14 pct hit. That shows remarkable resilience. 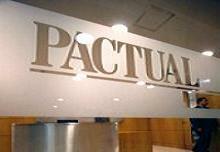 On Feb. 18 BTG Pactual reported fourth-quarter net income of 768 million reais ($319 million) on revenue of 1.8 billion reais. Consensus estimates based on a Reuters poll of three analysts covering the bank were for earnings of 792 million reais. The bank set aside 400 million reais to cover bonuses in the fourth quarter. At 947 million reais for the year, bonuses were 19 percent lower than in 2012. Full-year salary costs increased 52 percent from 2012 to 494 million reais as the bank increased staff by 24 percent and boosted pay for Brazilian employees by 8 percent, in accordance with an annual agreement with the banking employees union. Non-compensation costs jumped by a fifth to 648 million for the year as a result of acquisitions, rising technology spending and the expansion of the bank’s commodities business.